Do you still remember my last body scrub review : Original Source Cranberry and Honey Daily Scrub? If you do then you would know that I wasn't really thrilled with the said product. I was looking for a body scrub that caters to my exfoliation needs but I find the one from Original Source not that gritty enough. So I've ventured out on beauty counters and came across Honeymania Body Scrub from The Body Shop. Keep on reading to know what I think about the product. This exfoliating body scrub has a rich, floral scent. Each pot contains Community Fair Trade honey made from the nectar of thousands of wildflowers. It gently sweeps away dead skin cells to leave skin feeling silky soft. The product comes in a yellow cylindrical plastic tub with a very thick consistency which I find a bit hard to scoop from the plastic tub. It also has a creamy texture with a very lovely scent. After spending a few minutes comparing the different scents of the body scrubs at The Body Shop, me and my husband both decided that the Honeymania Body Scrub is the winner in the scent department. So we picked it up. Normal price is at $30.90 SGD. But the good thing is that The Body Shop was having a promotion when we bought it. Lovely scent. This is the number one reason why we (me and my husband) bought this product. We just love it. It's not too overpowering. The smell is soft and sweet like that of a honey which has a touch of floral scent in it too. Moisturizing. I find the product very creamy and buttery which melts on the skin when rubbed. It leaves the skin silky and smooth after washing. Because of how it is packaged the product can get unhygienic. Perhaps it's better to get the ones sold in tubes wherein you can just easily squirt the product. I've mentioned above that the product has a very thick consistency which I find a bit hard to scoop from the plastic tub. In terms of exfoliation, I think this one is not gritty enough as well. It just doesn't meet my expectations of a body scrub. The scent doesn't last long on the body. I don't know about you but I think this body scrub just doesn't work for me. I've heard and read good reviews about it but I beg to disagree. Maybe it's because I prefer a more abrasive scrub. But if you're looking for gentle body scrubs then this product might work for you. As an alternative, this can be a good in-shower moisturizer. 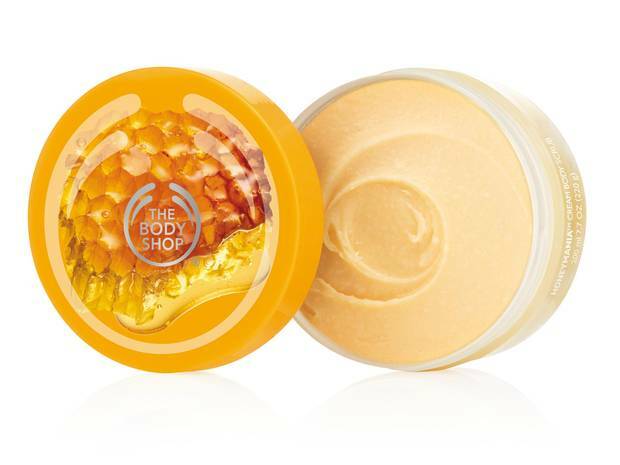 Have you tried using The Body Shop Honeymania Body Scrub? Let me know how you like your experience in the comment section below. I haven't tried this scrub at all. Thanks for your honesty I think I might have to pass.